To the Jedi, a Sith is one of the most feared and menacing forces of evil in the known galaxy. To us here at UltraSabers, Darth Vader’s new Inquisitor partner just might take the cake of being the most terrifying disciples of the dark side we’ve ever seen. Evil comes to life in Noel Braham’s Star Wars film: Exile, the tale of two Jedi on the run from the Galactic Empire, seeking refuge in the Outer Rim. 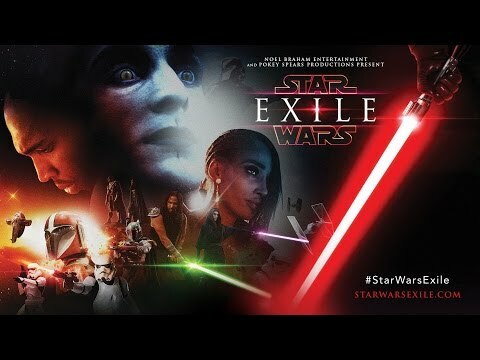 With a carefully selected cast of supporting familiar Star Wars characters, and a main stage new faces who are quick to love, Exile is a blur of emotion, action, and appeal all packed into a film that seems to escape time. Check out the video on Noel Braham’s YouTube Channel to find links to the whole crew’s Instagram accounts and other awesome social media, where you’re sure to find more awesome goodies and some behind the scenes sweetness! Make sure you leave them some love in the comments section!